Pillow shams pictured above on the bed are the standard size. This is the Eucalyptus Dreams Microfiber Pillow Sham. It is a super soft, gorgeous, bright white pillow sham printed on the front with beautiful sprigs of eucalyptus. 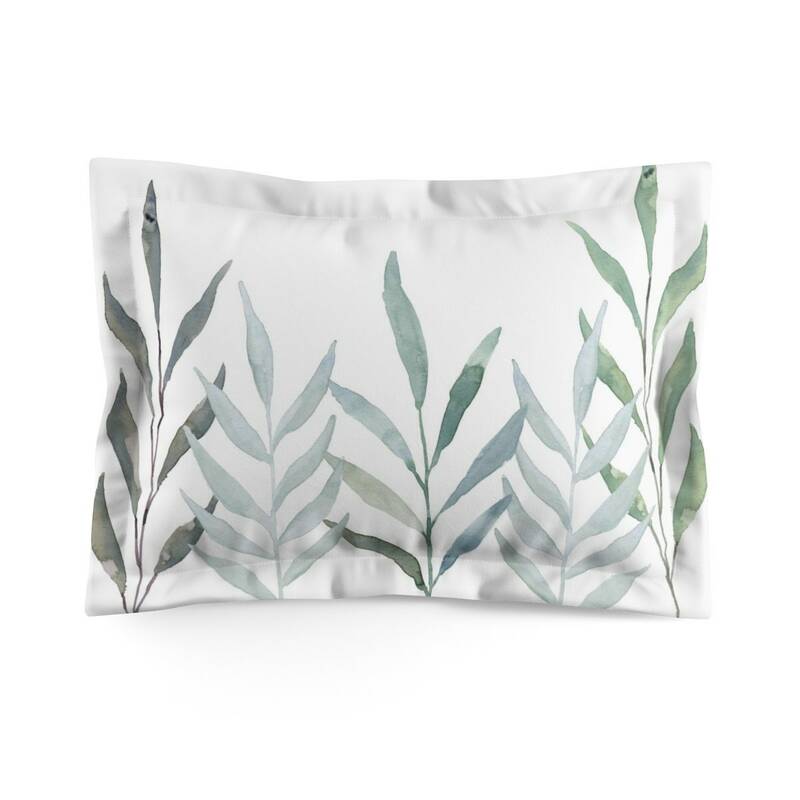 This pillow sham goes so perfectly with the Eucalyptus Dreams Duvet Cover without being too matchy-matchy. You will make your bedroom a place of relaxation and calm with this light and airy design made from lightweight, woven microfiber. Create a place where dreams are born.